New Hampshire Statute RSA 290:2-a states that the deceased cannot be removed from the place of death without a pronouncement of death signed by a physician or registered nurse. A registered nurse can only release the deceased if the death was anticipated. In all other cases, only a medical doctor can release the deceased. In addition, RSA 611:4 states that deaths occurring under certain circumstances must be referred to the State Medical Examiner who will become responsible for legally releasing the deceased. Other states may vary. I cover MA, NH, VT, ME and other states upon request and will be glad to help you with these questions. Call the physician or other medical professional who will be issuing the death certificate, then call me . I will make all the calls needed and help you from that moment through to the memorial ceremonies for your loved one. Please note that this may take a little longer if I have not been in contact with you prior to the end of life event. We can meet and discuss all the eventualities, and I find it extremely helpful to chat with the person who is reaching their end of life time. This can be informally for a chat in their own home, or via a visit to them in Hospice. Please don’t be afraid to plan with your loved one. Often this is a very soothing and reassuring process. 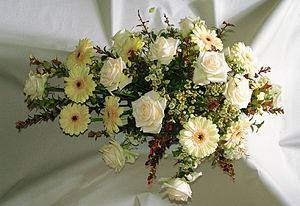 I can aid in the facilitation of all end of life celebrations and memorials. Please contact me via email if you need any help or just some advice.